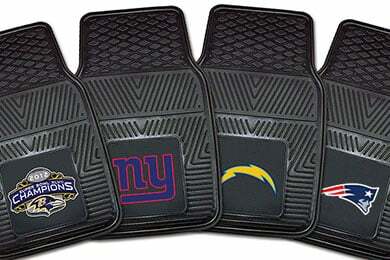 FANMATS 8904 - FANMATS NFL Vinyl Floor Mats - FREE SHIPPING! The product is quality, very reasonably priced, shipped promptly, easy to use, and looks great! Very satisfied customer. Mats look great and fit perfectly! I like my mats but they would be more help to me if they would cover more of the carpet. If I center them there is 3 inches of exposed carpeton each side with no protection. 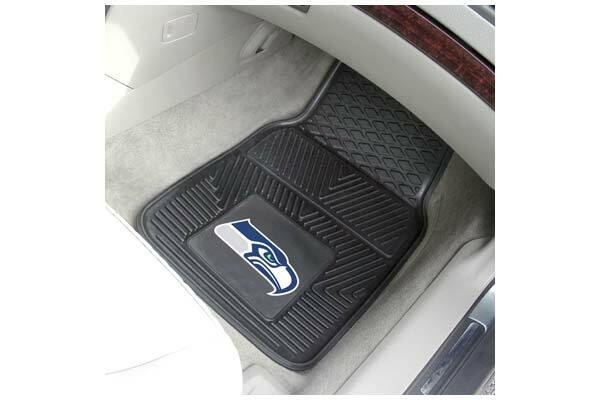 I did a lot of looking at the various national auto parts stores around town and I didn't see anything of the combined quality and price and best of all having a Seahawks logo. I bought them so I could preserve my 300ZX matts for when my 87 becomes a classic and helping to preserve my interior while making it look "NEAT" will be your matts. Reference # 762-226-150 © 2000-2019 AutoAnything, Inc.